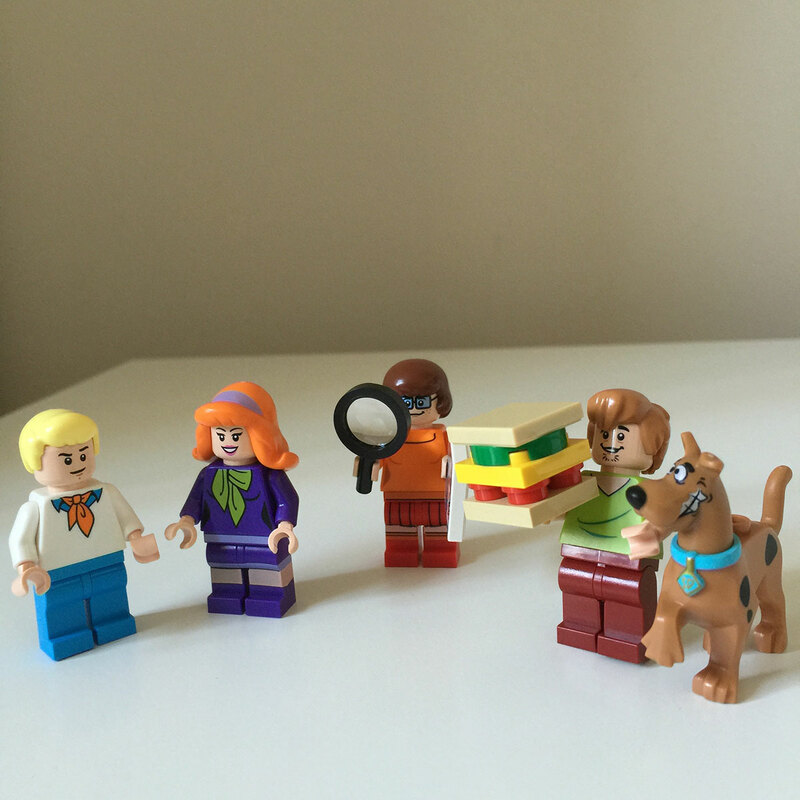 I’m a huge fan of the Hanna-Barbera cartoons but Scooby-Doo has always been my favourite so I’ve been looking forward to the LEGO Scooby-Doo sets which officially launch tomorrow. Luckily, due to an error on the part of Argos1, I was able to get all five sets a week early so I’ve put together a very brief review. Make sure you scroll to the bottom to see the coolest feature which appears in every set! This is the cheapest of the sets but it has a lot of detail for such a small set. 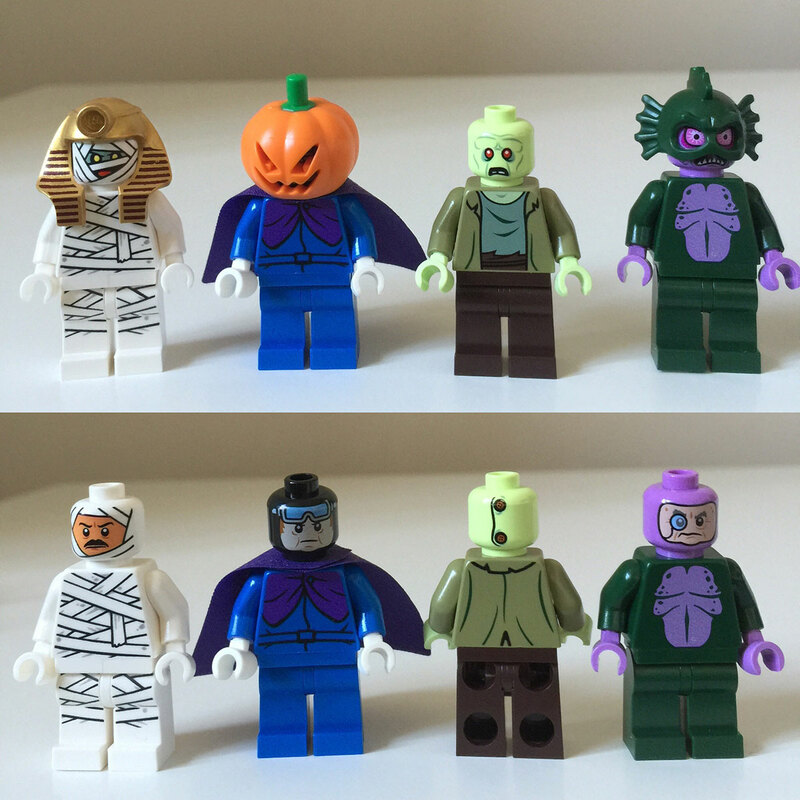 Scooby and Shaggy come in every set but are joined by a mummy complete with headpiece. The museum itself has a hidden compartment with jewels and a liftable sarcophagus in which to hide the mummy. This is my least favourite set but you do get a fair amount for the low price. 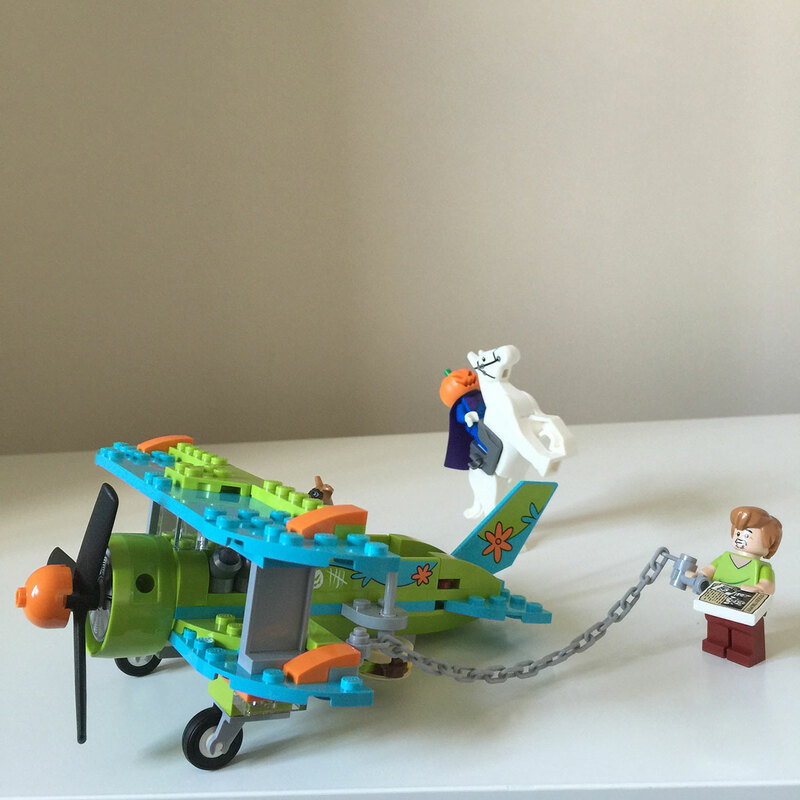 Scooby, Shaggy, and a headless horseman complete with a bi-plane with revolving propellor and (for some reason) burger bombs2 that you can detach. The Scooby model in this one is slightly different to the others in that he is wearing flying goggles. Now we’re getting to the good stuff. The Mystery Machine is iconic and I’ve no doubt that, at the low price, this will be the most purchased set in this series. 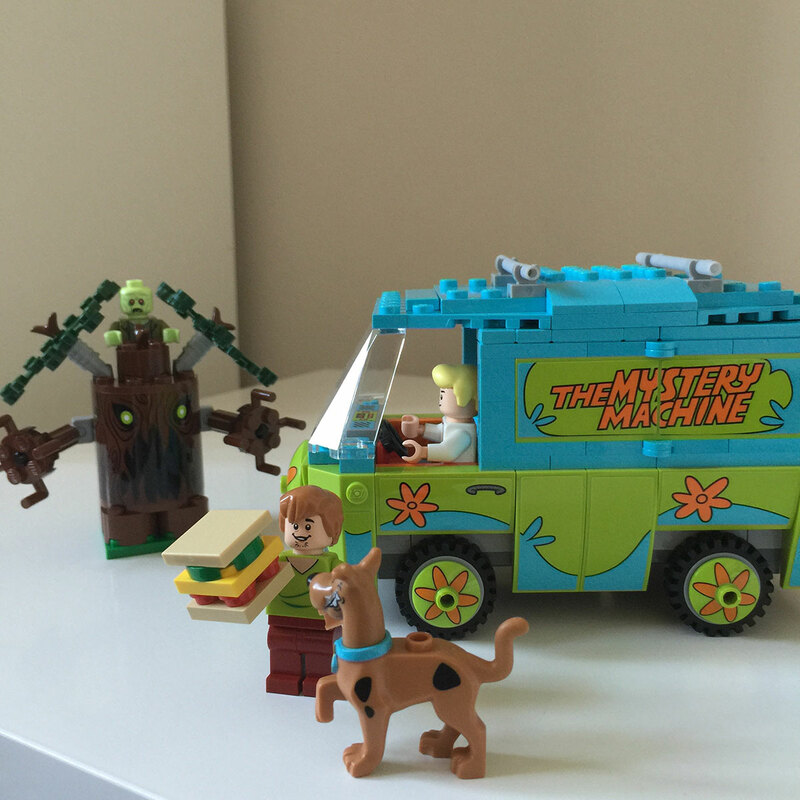 For under £30, you get Scooby, Shaggy, Fred, a zombie, a scary tree, and the Mystery Machine itself. The model is much smaller than I’d originally anticipated but it is very detailed and opens up allowing access to the inside which contains a kitchen and some props like a camera and torch. Overall, this is a fantastic set although it does use a huge amount of stickers which are prominently visible. 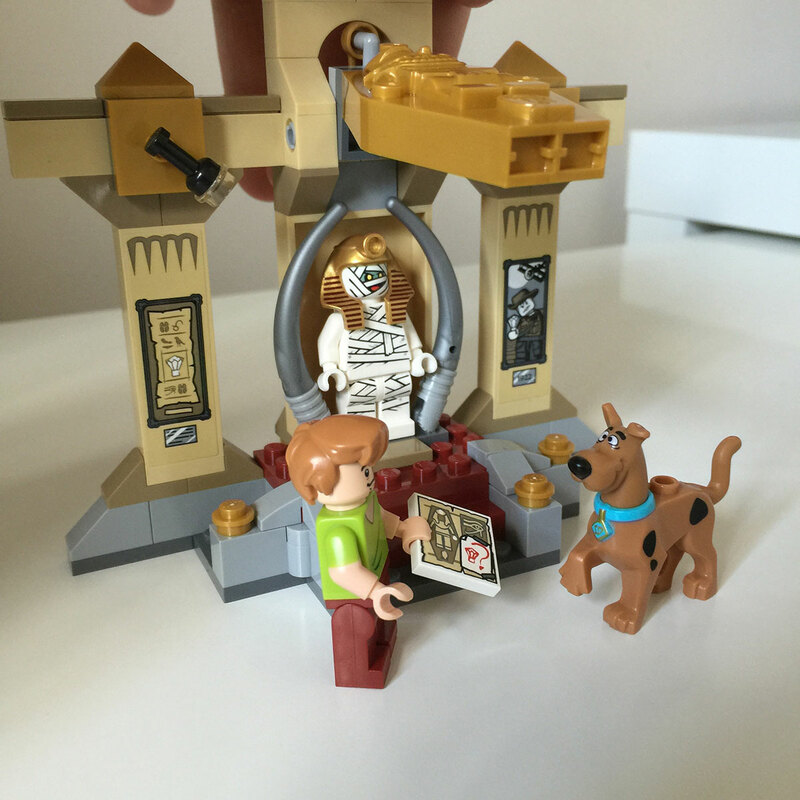 This may be my favourite set as it captures everything great about Scooby-Doo. 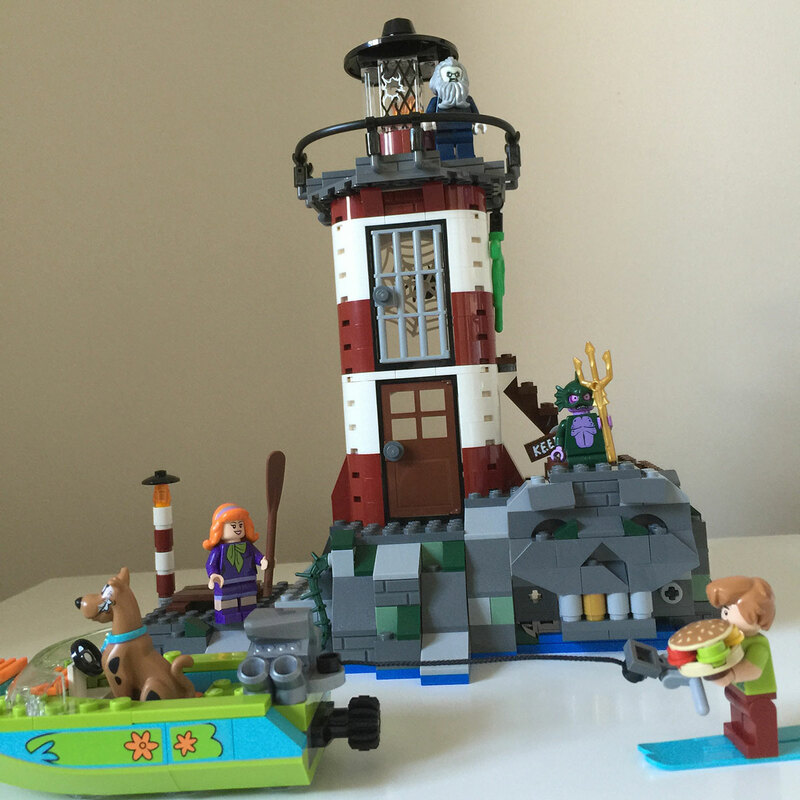 You get a lighthouse keeper (it must have been him), swamp creature, Scooby, Shaggy, Daphne, a speedboat (with skis), and an awesome rock formation with lighthouse and secret pirate cave. There are nice little touches such as scratches inside the prison cell to show that somebody had been counting days, a wonky “keep out” sign, and a face on the hidden cave complete with gold tooth. The biggest and most expensive of the sets, the Mystery Mansion shares a lot in common with the retired “Monster Fighters” sets that LEGO released in 2012 (of which I have the Haunted House, my all time favourite LEGO set). The mansion is broken into 3 core areas; a greenhouse (with man eating plant), kitchen, and the tower. I personally think the greenhouse is the most interesting as there is good use of transparent panes and wedges to give the impression of smashed glass. The tower also has a nice feature in that when you turn a knob at the back, the clock hand advances and a column in the middle rotates to switch from a bat to a place where you can stand the vampire minifigure. There are a lot of stickers although the majority are on transparent panes which I find transfer better than on bricks where a slight misplacement can look terrible. 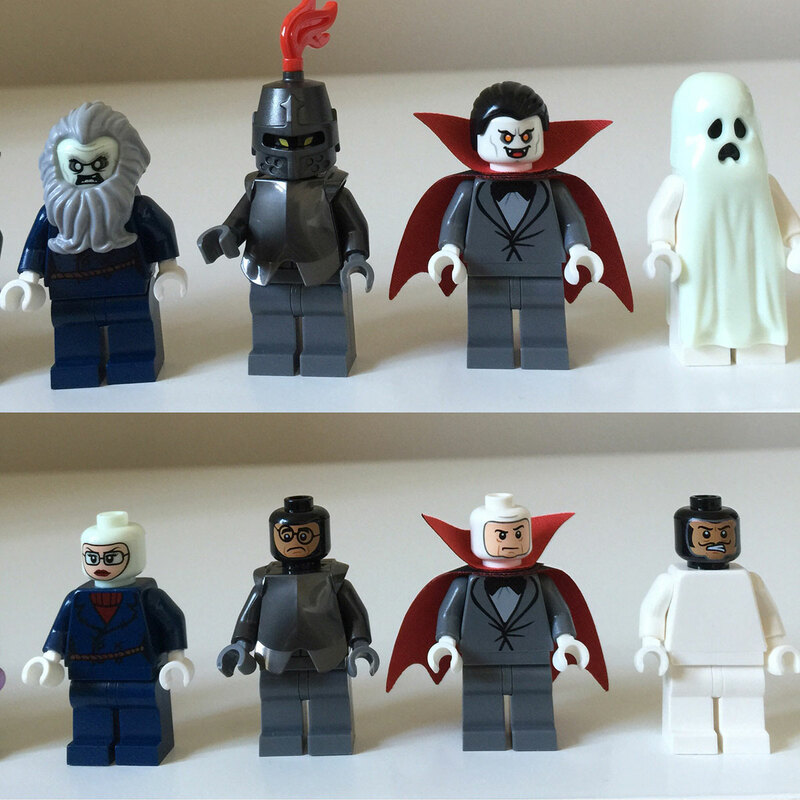 In terms of minifigures, you get Scooby, Shaggy, Daphne, Velma3, a suit of armour, a ghost, and a vampire. Both the vampire and ghost glow in the dark if you shine light on them first. Overall, this is a great set for both adult collectors and for kids to play with. Every villain5 has a double-printed head so you can unmask them and mimic the whole “I would have gotten away with it too if it weren’t for you meddling kids” speech! This for me shows how much thought LEGO have put into these sets and makes every minifigure one worth having (whereas on face value6 they seem a little bland being mainly reprints from other sets). 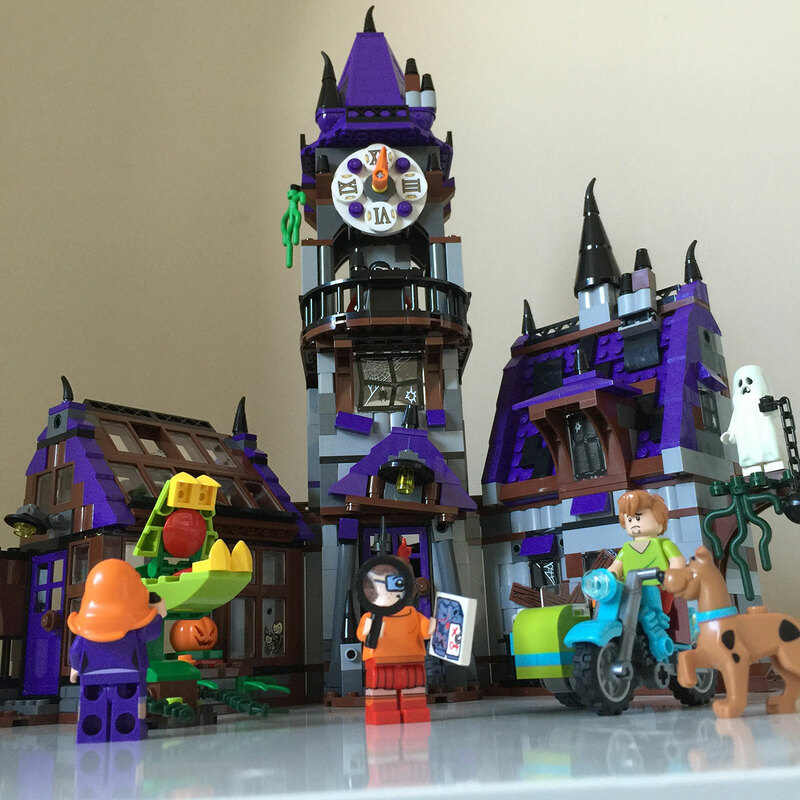 Overall I highly recommend the Scooby-Doo LEGO sets. They offer great value for money, especially for licensed sets, and will look good as display models for adult collectors whilst also being high in playability for kids. Don’t forget that the LEGO Big Bang Theory set also launches tomorrow though!